Six feet of mirrored beauty? Yes, please. This floor mirror complements your home with handsome appeal. 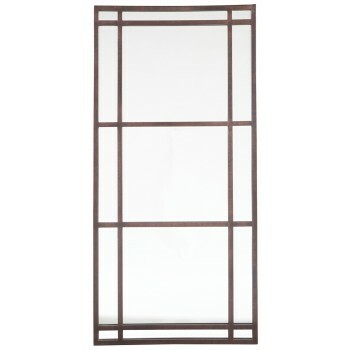 Linear metal frame sports an antiqued brown finish, giving you the hint of industrial style you’ve been looking for.